Hi everybody! Today&apos;s is a massive post, me playing with the two Spring 2019 Blush Lacquers collections! What are they? 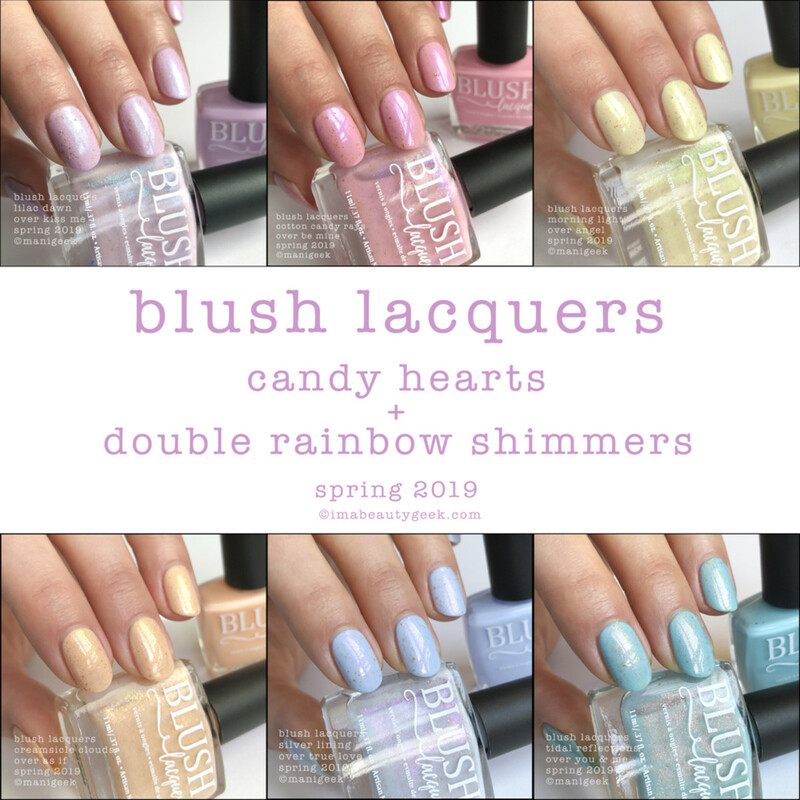 Well there’s the Candy Hearts Collection (the most beautiful set of soft pastels) and then there’s the Double Rainbow Shimmers Collection (a smashing, matching whack of shimmery top coats) that can be slapped over your Candy Hearts or worn all by themselves. It’s many photos – like 18 of ‘em! We should start, right? You got your coffee? Blush Lacquers Kiss Me – Candy Hearts Collection 2019 (above). I should tell you how come I’m painting Blush. It’s because brewer Victoria asked me to. She sent me an introduction email (ppft – I totally knew who she was. I mean c&apos;mon, Blush Electric Bloom? One of my favourite pinks of ever?) and told me what she was looking for. 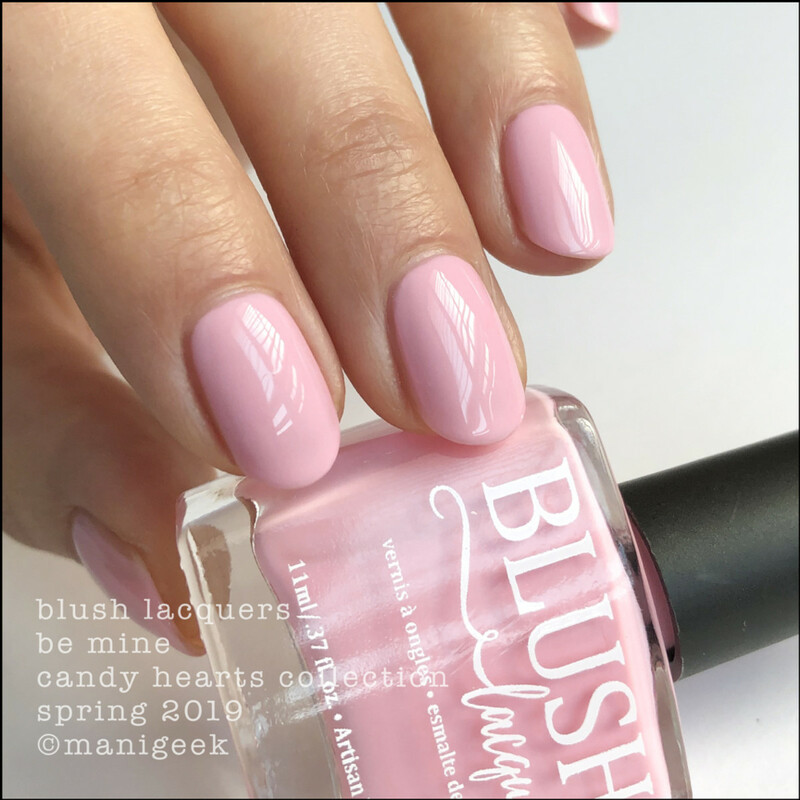 Blush Lacquers Be Mine – Candy Hearts Collection 2019 (above). I sent back what I was capable of, and she replied that she’d started reading Beautygeeks waaaay back when I had a totally different way of presenting nail polish to your side of the screen. I know, right? Who’da thunk? 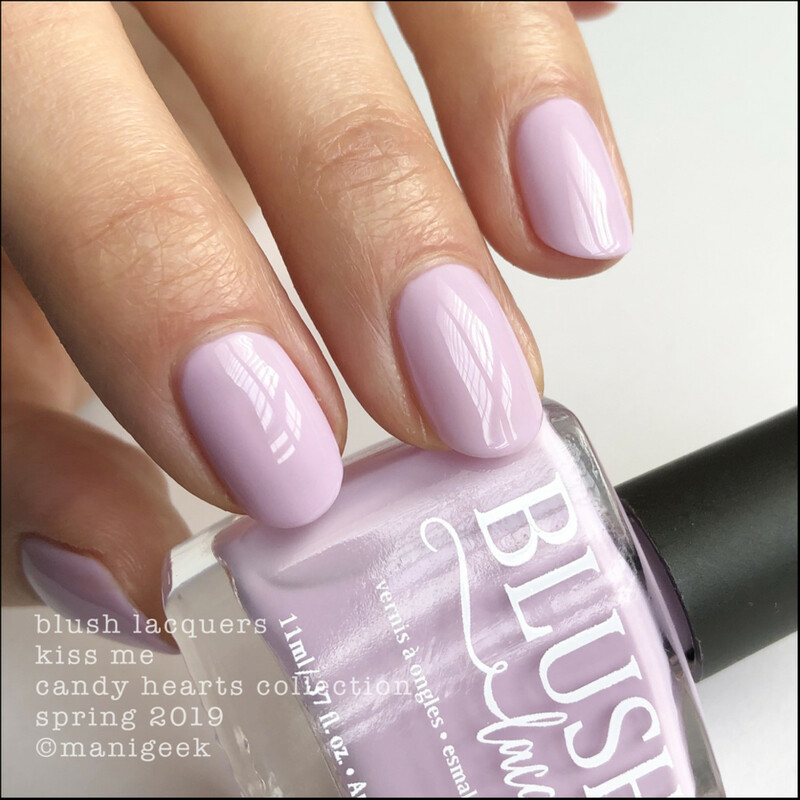 Blush Lacquers Angel – Candy Hearts Collection 2019 (above). It’s funny how it never occurred to me that indie makers would have seen my stuffs when I only covered mainstream and luxury polishes, but I guess a few of ‘em did. Still, it always surprises me when they know who Manigeek is. 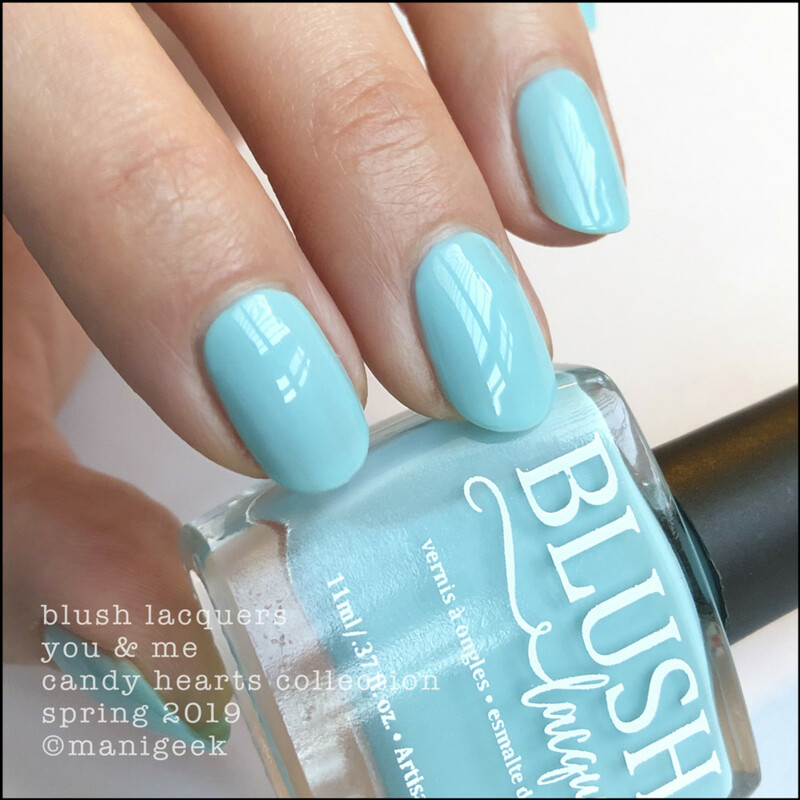 Blush Lacquers As If – Candy Hearts Collection 2019 (above). So here’s how we’re rolling: I’ve stuffed the straight-up Candy Hearts shades between all this wordage. 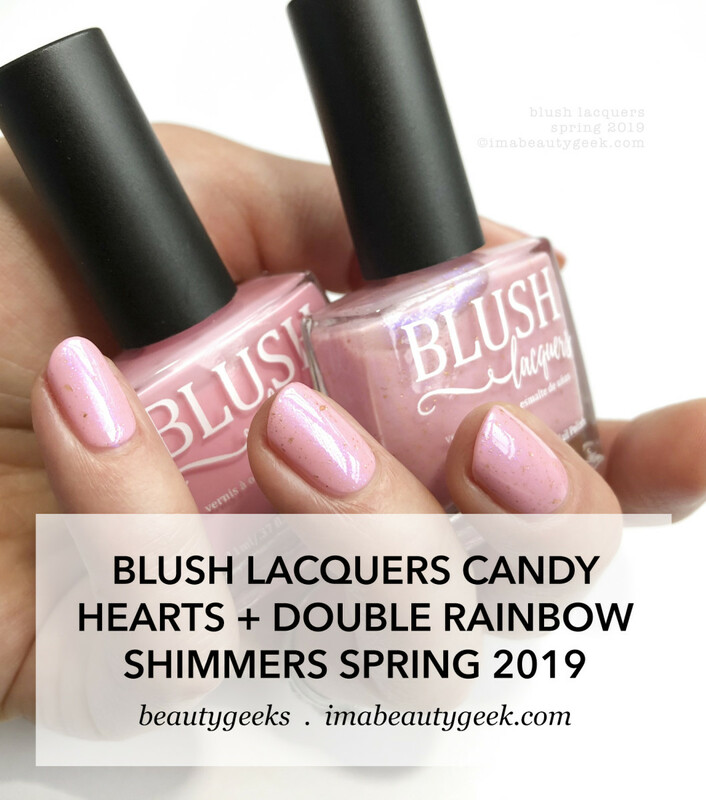 Blush Lacquers True Love – Candy Hearts Collection 2019 (above). It’s a 6-shade collection of insanely buttery pastel crèmes that mostly took me only 2 coats (True Love took 3) to opaque. The brush is perfect, the application is perfect, and the finish is perfect. They’re mind-explodingly good. 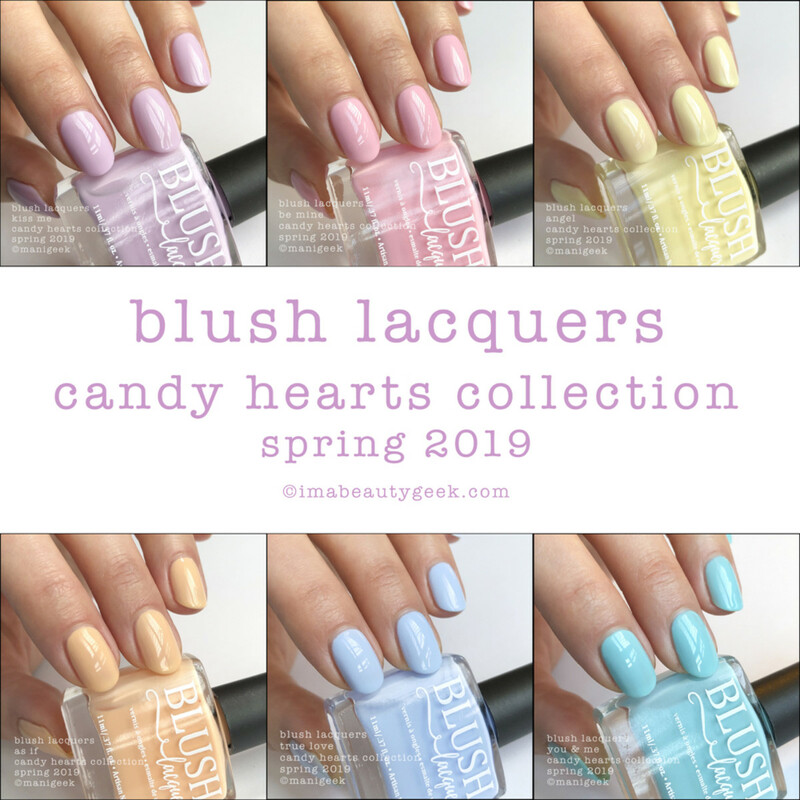 Blush Lacquers You & Me – Candy Hearts Collection 2019 (above). I don’t know how Victoria did it – they’re among some of the very best pastel crèmes I’ve ever used. Ever. 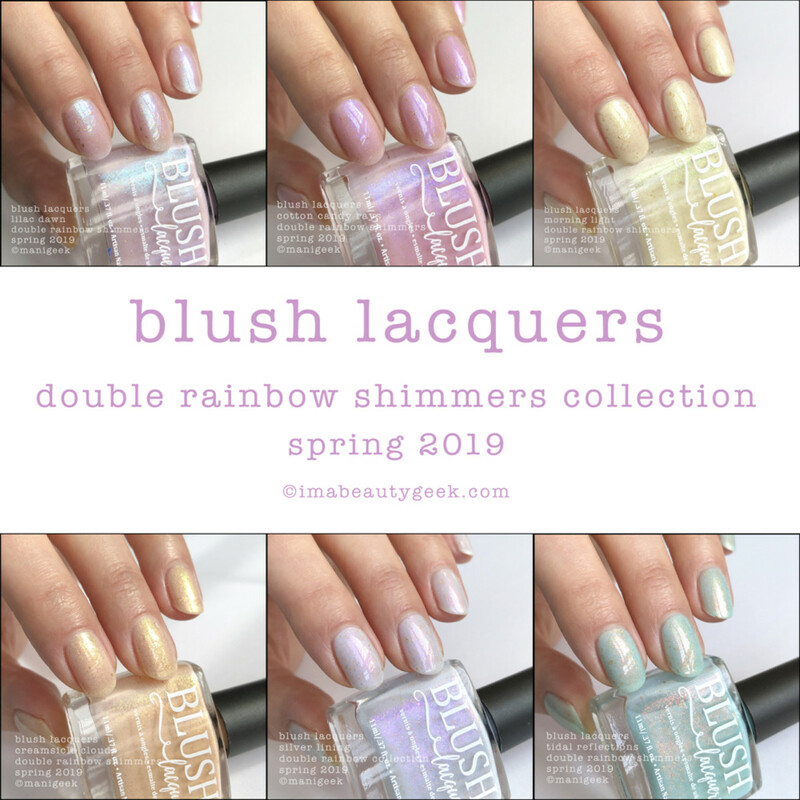 Blush Lacquers Lilac Dawn – Double Rainbow Shimmers (above). And this right here is the Rainbow Shimmers Collection. Each of the 6 shades is stuffed with golden flakes and some kind of shifty shimmery flash. Blush Lacquers Cotton Candy Rays – Double Rainbow Shimmers (above).What do I mean by “flash?” That with certain lighting conditions, when you tilt a certain way a whole colour can jump out and smack you in the eye. 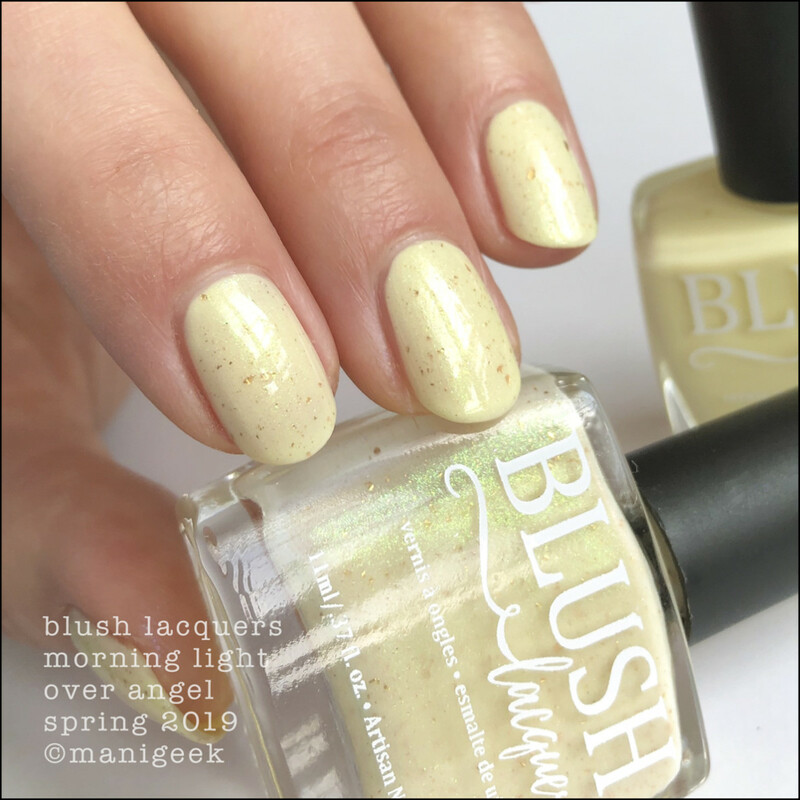 Blush Lacquers Morning Light – Double Rainbow Shimmers (above).The best way to see what the flash will be is to look at the bottles. I’ve tilted them exactly right so you can see what I’m talkin’ about. I hope. 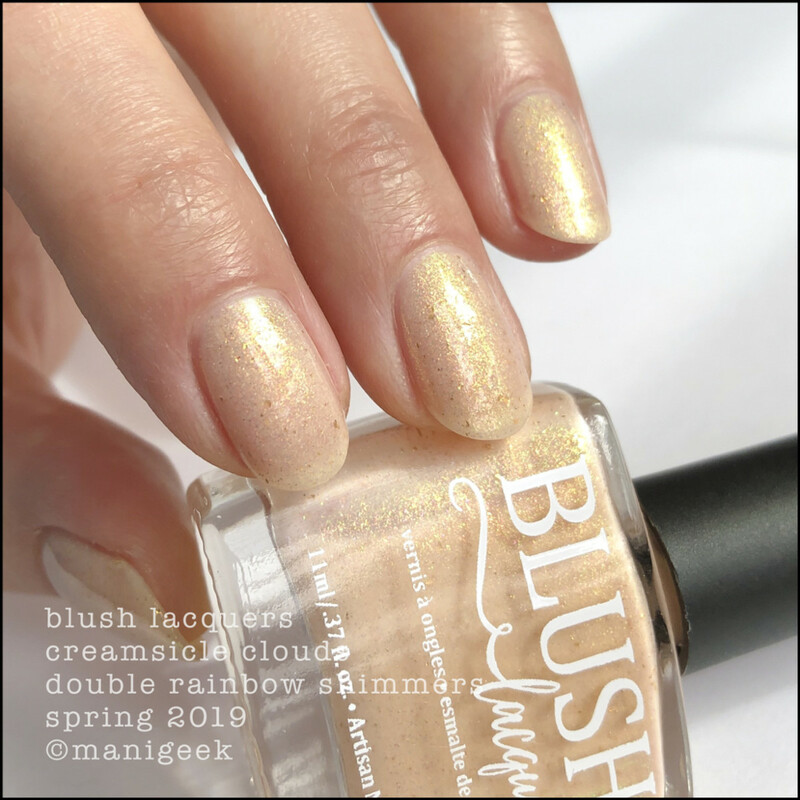 Blush Lacquers Creamsicle Clouds – Double Rainbow Shimmers (above).Most of the Double Rainbows are quite sheer and your number of coats to opaque will vary wildly depending on how thick (or thin) you usually tend to apply your paint. Some took me 2 and others took me 3, but all these swatches have top coat. 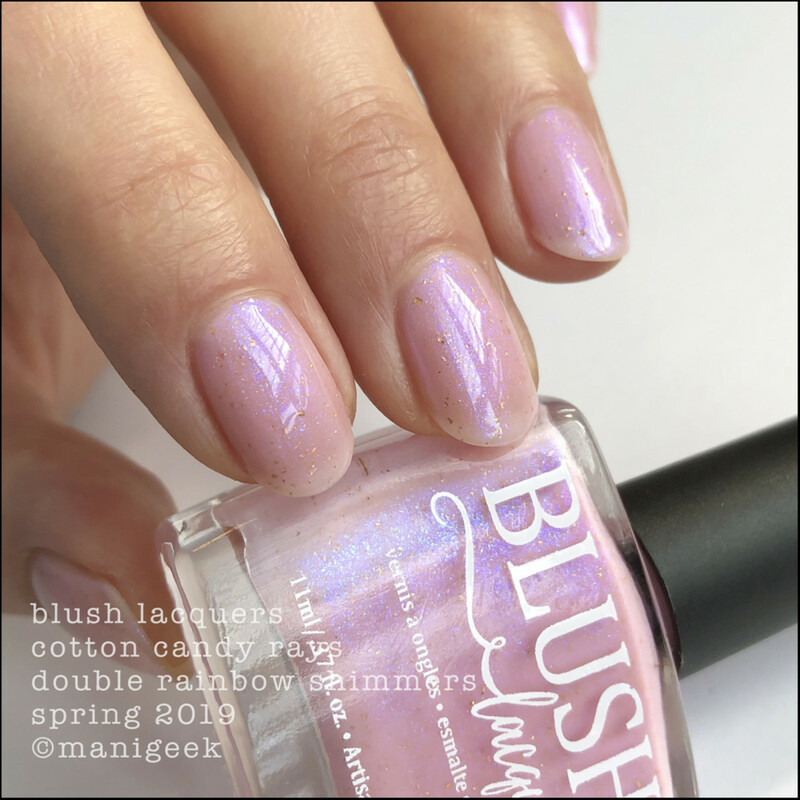 Blush Lacquers Silver Lining – Double Rainbow Shimmers (above).Why did I top coat when I rarely top coat other things? Because Indies need top coat. It’s what makes the special that’s in the bottle show up on your nails. Flashies and shimmers demand it. I mean it. It’s a demand. Blush Lacquers Tidal Reflections – Double Rainbow Shimmers (above).If you’re one of those people who can’t be bothered with top coat, then you have no idea what you’re missing. Do you need to have an Indie top coat for Indies? Nope. 99% of the time I use my favourite Revlon QDTC – it’s inexpensive, it’s thin, it dries fast, and it doesn’t obscure the magic. It’s the business over all this business. Oh no! We’re getting close to the end! Here, let’s just look at a single coat of Double Rainbow over a coupla coats of Candy Hearts – with top coat. 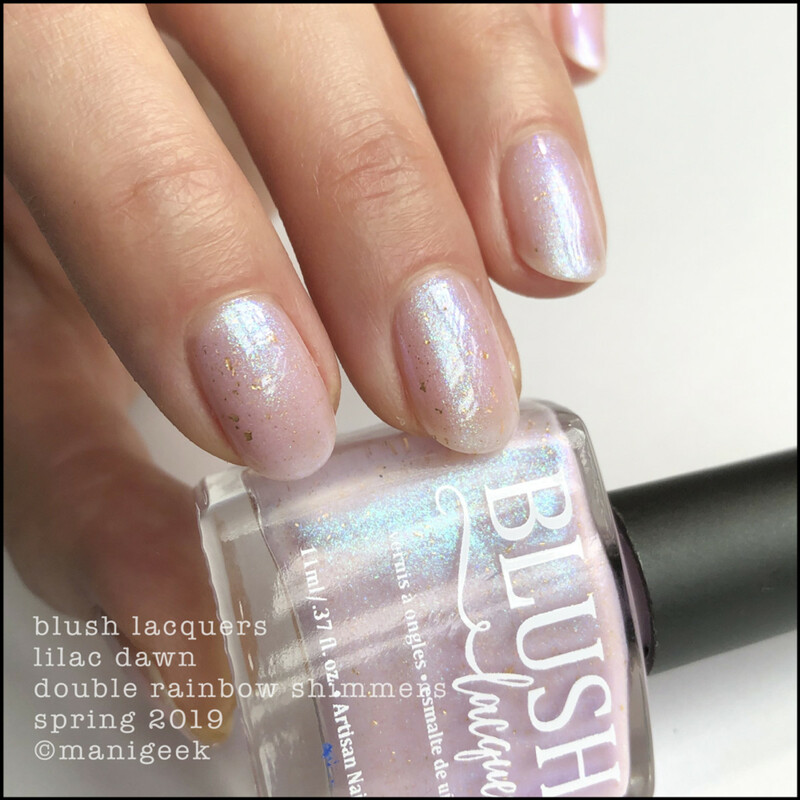 Blush Lilac Dawn over Kiss Me – Spring 2019 (above). 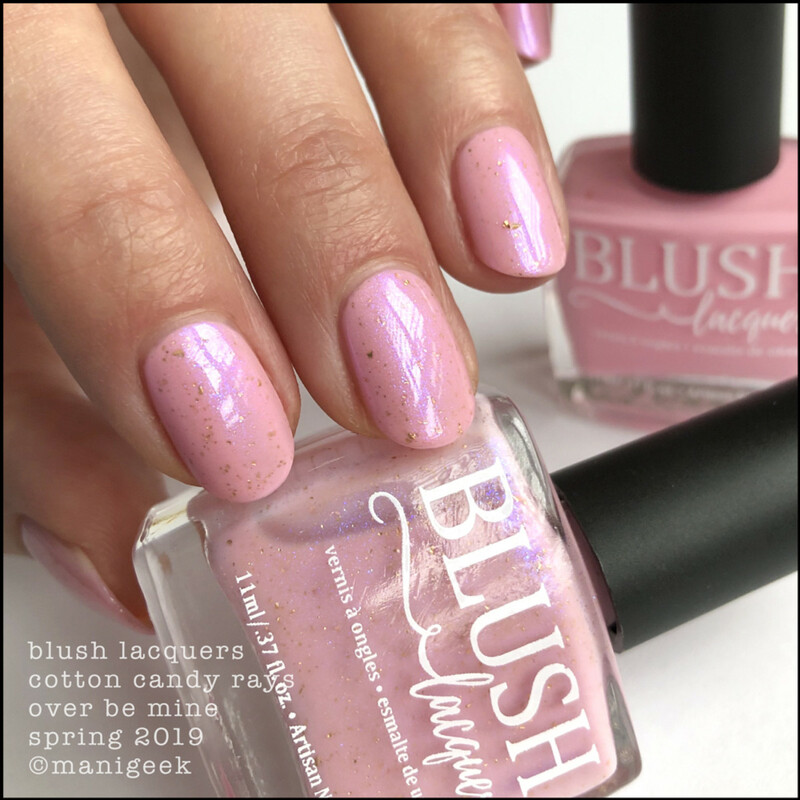 Blush Cotton Candy Rays over Be Mine – Spring 2019 (above). 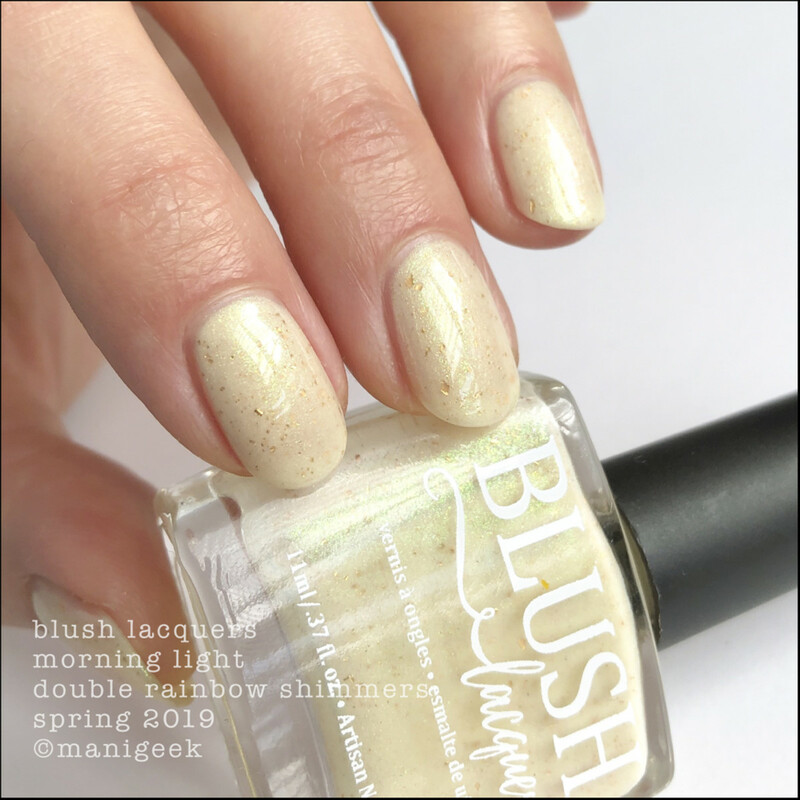 Blush Morning Light over Angel – Spring 2019 (above). 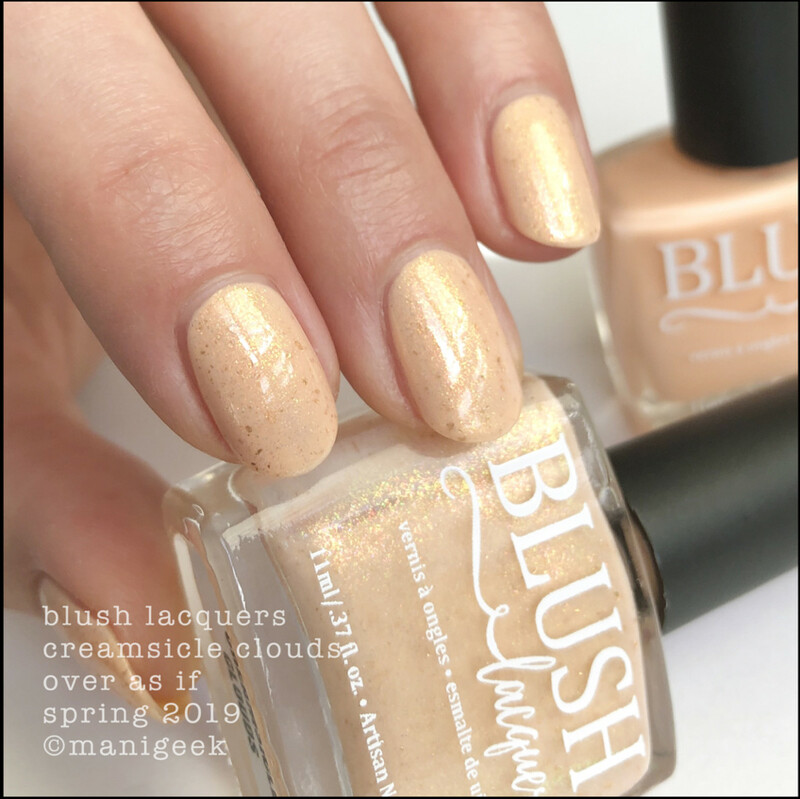 Blush Creamsicle Clouds over As If – Spring 2019 (above). Blush Silver Lining over True Love – Spring 2019 (above). 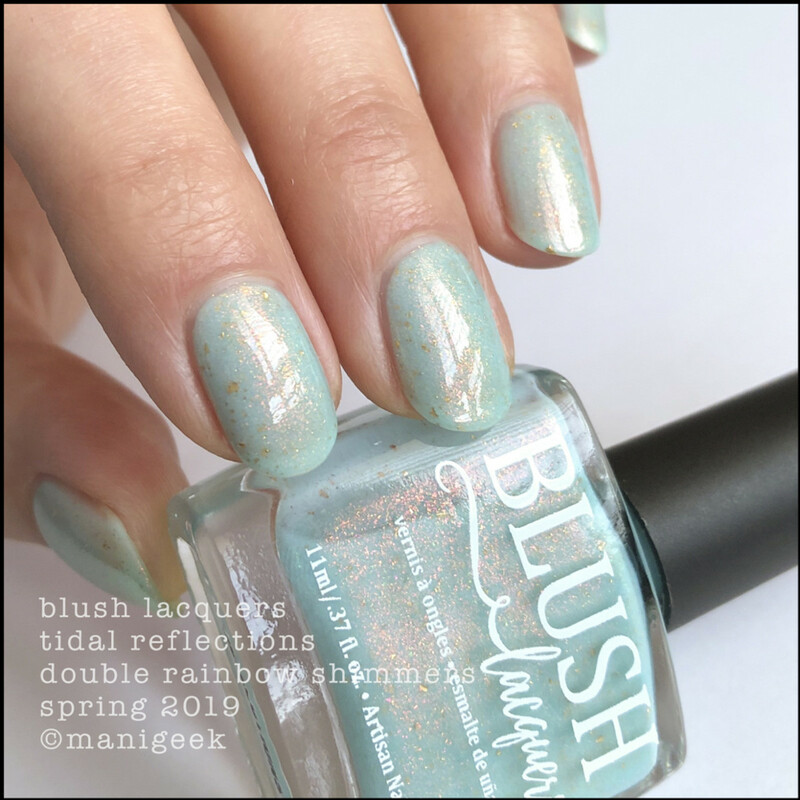 Blush Tidal Reflections over You & Me – Spring 2019 (above). There you go! My work here is done! But truth? It wasn’t really like work, it was more like play. These are all very, very easy to play with. Application is dreamy and to reach the opacity I did in 2 coats is almost unheard of in terms of pastels. I’m going to say this one time and I need you to hear me: If you’re one of those people who always fight with pastels, throw those in the garbage and replace them all with these. You’ll be glad you did. Oh! Oh! One last thing! You heading to Polish Con on April 6th? If yes, Victoria is bringin’ these with her! If no, simply mark your calendar for the online release on Friday April 12th. Now let&apos;s discuss this whack of polishes. 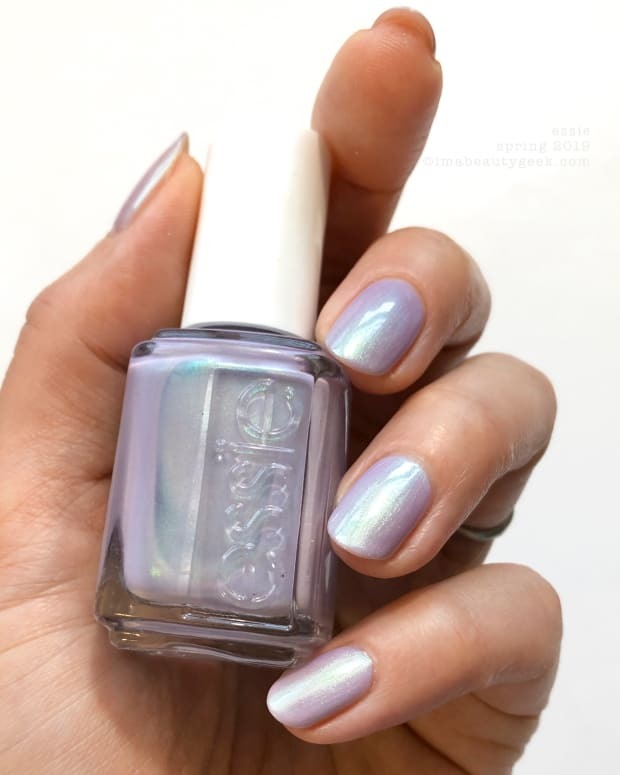 I need to hear your thoughts on pastels, sheer flashy flakies, and the combination of the two. Or maybe we can just talk about Blush Lacquers! Yeah! That! You tried? You love? You haven’t tried? Why not? Let’s discuss! I brought the pictures – you bring the donuts! manicures & photos karen falcon (she’s out of panko).